1 - Thank the person who nominated you and link to their blog. 2 - Answer the 10 questions given by the nominator. 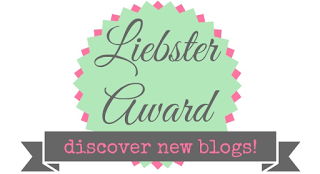 3 - Nominate and link 10 bloggers (with less than 200 followers). 4 - Notify all the bloggers you've nominated. 5 - Create 10 new questions for your nominees to answer. 1. What is your favorite type of music? I listen to a lot of rock music. My favorite band is Linkin Park. I also love Three Days Grace, Seether, Papa Roach, Stone Sour and Evanescence. But at the same time I also love bands like Maroon 5, Paramore, and Fall Out Boy. 2. If you were condemned to live off one food dish for the rest of your life, what would it be and why? I don’t think I could live without red meat so probably a burger. There are many ways to eat a burger and endless toppings. 3. Best plot twist you've read? There are a lot of great plot twists. But, I’m going to go back a ways and say Dangerous Girls by Abigail Haas. I read that a couple of years ago and boy, was I shocked at the time. 4. What are your top 3 books you want to read in 2015? Winter by Marissa Meyer, Magnus Chase and the Gods of Asgard by Rick Riordan, and The Rose Society by Marie Lu. 5. What is one book that has a significant impact on your life? The Hunger Games by Suzanne Collins, to pick just one. 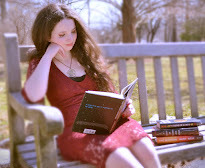 I’ve always loved reading, but it was The Hunger Games that really got me into the YA genre. It opened up whole new genres to me and helped shape who I am as a reader today. A lot of people consider Warner from Shatter Me a “villain”. I never saw him that way, but technically he’s considered a villain. I don’t care about any of that. I LOVE Warner and he’s one of my favorite male characters of all time. Well, the first thing I’d do is buy more books. But, after that, I’d just put it in the bank and save it for later. I’ll need it someday. 8. What drink would best describe you (alcoholic or not)? Sweet Tea. I love any kind of tea, especially if it has caffeine. And my friend had to describe me for something the other day and said that I’m a “super sweet nice person”. So I guess that fits. 9. What would you say is your greatest fear in life? Because it lets you experience things beyond what you could ever do in real life. Through books you have access to and infinite number of worlds and stories. It lets you escape and immerse yourself into a completely different place and time. It teaches you things and helps you to grow as a person. Those are all my answers, thank you again, Sherry! If you could only ever read books from ONE genre, which genre would it be? If you could change places with one fictional character for a day, who would it be? Favorite series of all time? Is there a particular book that got you into blogging? If you could meet any author, who would it be? And what would you say? What other things (except for reading) do you like to do? What is your favorite type of music and who are your favorite bands/artists? What books are you most looking forward to reading for the rest of 2015? I love all of your blogs and I can't wait to see your answers! Thank you for the nomination :) I've actually done it twice, but I can answer them here:D I just finished the first Hunger Games book and really enjoyed it. I haven't read Shatter Me yet, but I've heard it's an addicting read. Maroon 5 is awesome. I like a lot of there songs! For Dangerous Girls, when I read the plot twist, I was confusedXD Great answers! Love burgers ;) I still have yet to read anything by Abigail Haas but I hear great things about her plot twists, I'm definitely going to have to read something by her soon. I also love Warner, I am really happy with how his character turned out. Oliviaaaaaaa. This is so cool, I am so happy that you thought of me, this is very special to me (what a sap) but really I love that you comment on my posts and that you seem to enjoy them. I LOVE Warner too! And burgers oh goddddd I'm drooling. This isn't helping me to live a healthier life!! Lol, gonna answer your questions in a post on my blog. Thank you again!! Thank you so much for thinking of me Olivia!!! I love burgers too hahahah and shout out to southern life and sweet tea! I'll answer your questions on my blog when I get a chance! thanks again!